Height 5 ft 101/2 in. Weight 142 lb. Chest 31-35 in. Eye lashes lower lids scanty. Complexion fair. Eyes brown. Hair medium colour. Eyes both 6/6. Hearing, colour vision, heart & lungs normal. Limbs & chest well formed. Full movement of joints. False teeth - good. Free from variocele, Varicose veins, haemorrhoids, inveterate or contagious skin diseases. Vaccinated. Good bodily & mental health. No defects. 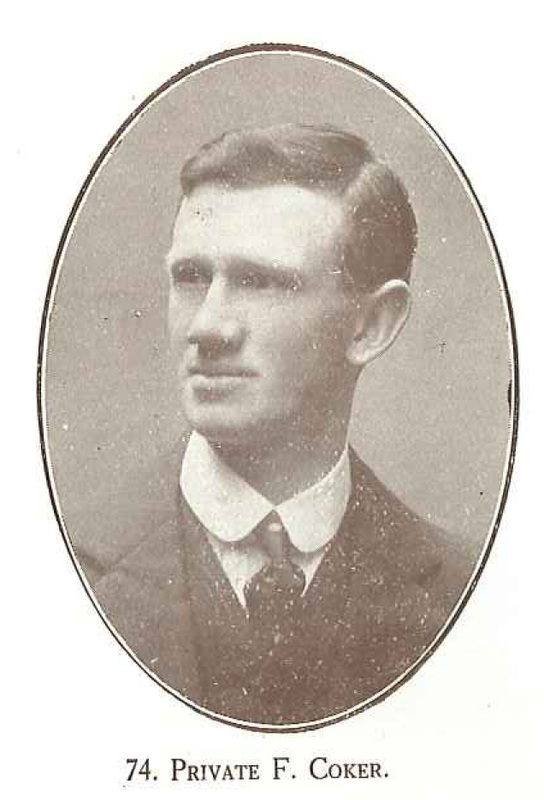 Son of Rosa Ellen McGUIRE (formerly COKER), of 62 Edward St., Timaru. Attended Timaru South & Timaru Main Schools. Remembered at the 5 July 1915 meeting of the Timaru South School Committee. His name is inscribed on the tablet in memory of ex-pupils who fell in the great war, which was unveiled at Timaru South School on 18 September 1919 in a memorable and unique ceremony. "No nobler boys had left the shores of New Zealand than ex-pupils of the Timaru South School," said one long-term committee member.